Highclare School > News > News > Bonjour ! 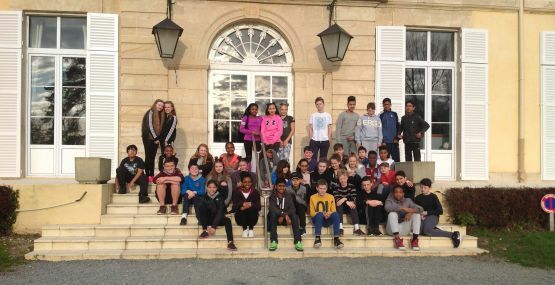 Pupils from U3 and L4 at Highclare Senior School, an Independent Senior School, based in north Birmingham, recently enjoyed a very successful and sunny 4 day trip to Normandy. 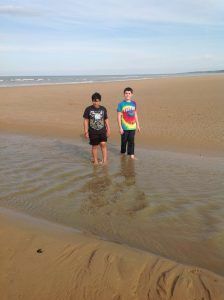 As in previous years they stayed in the picturesque Château du Molay not far from Bayeux. 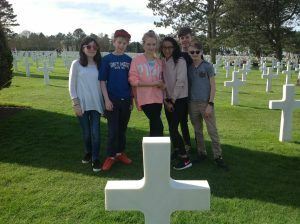 Highlights from the trip included visits to the D-Day landing beaches; they went to both the American and German cemeteries and the D-Day museum in Arromanches; a visit to the Caramel D’Insigny factory and the town of Bayeux. Whilst in the market town of Bayeux the students viewed the world famous tapestry and were able to try out their French skills in the shops and at the market stalls. 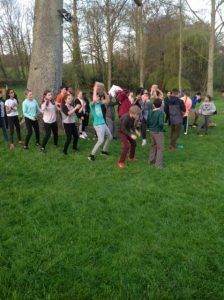 During their social time at the chateau the Senior School pupils were treated to a French crêpes and apple juice evening, a disco, and activities such as the blind trail and the egg protector challenge, followed by a trip to the local bowling alley. 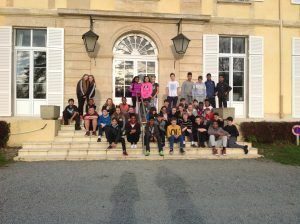 Now back in school in Erdington, the trip was voted a great success helping not only with the pupil’s command of the French language, but history too and developed many long term friendships.